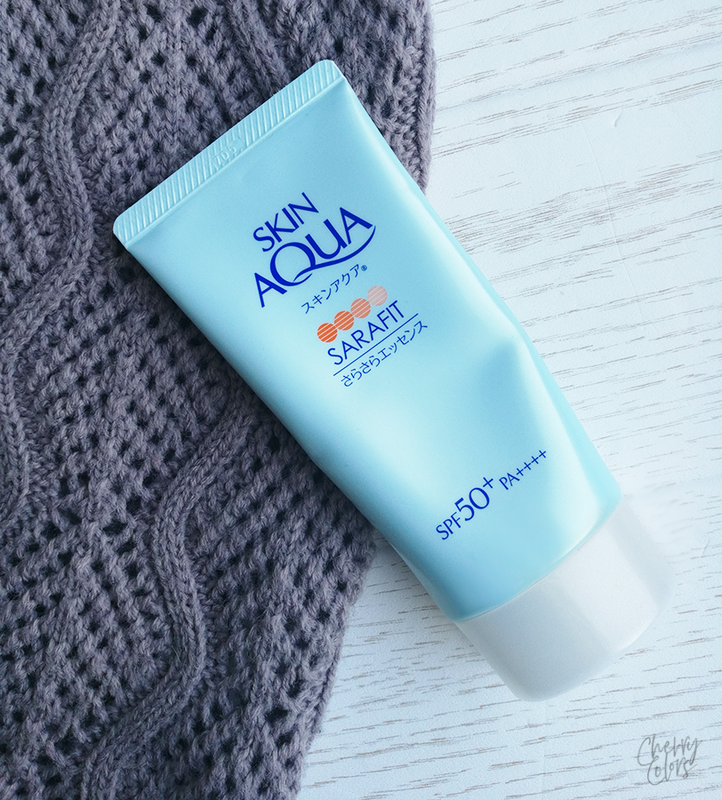 Skin Aqua Sarafit UV Smooth Watery Essence SPF50+ PA++++ - Cherry Colors - Cosmetics Heaven! 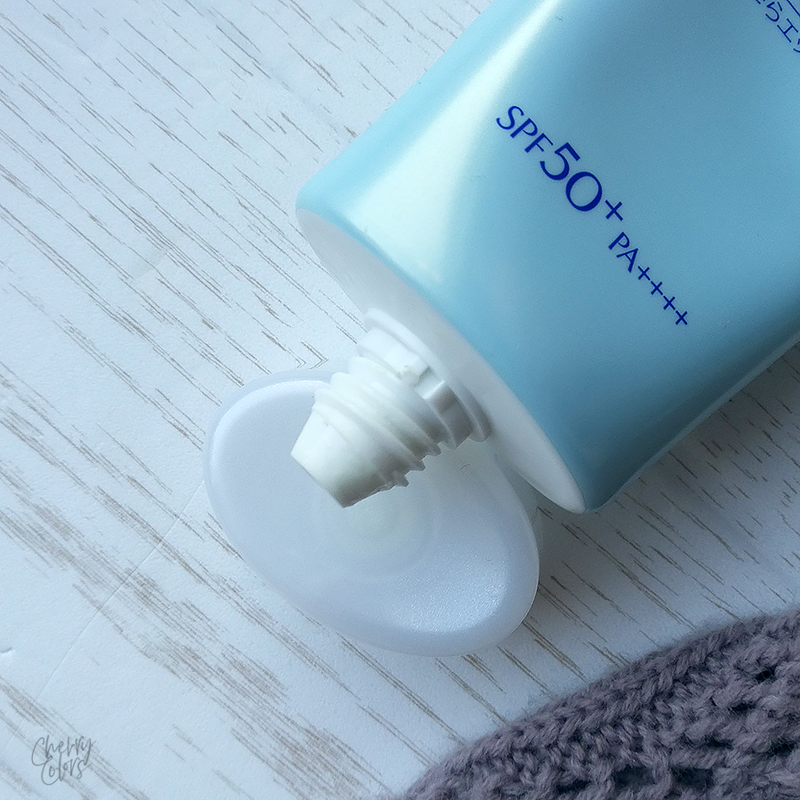 After a couple of months of using this big packaging of the Japanese Skin Aqua Sarafit Sunscreen, I think it's time to say a word or two about it. I got the sunscreen from the lovely Daša from Soap & Water. Okay, let's see how it did. 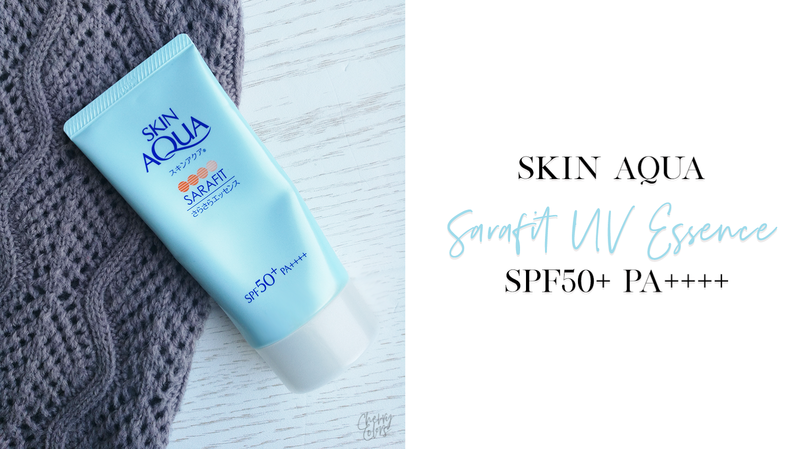 The Skin Aqua Sarafit UV Sarasara Essence is a gel type sunscreen that gives a refreshing feeling while providing the best UV protection (SPF50+ PA++++). The dry powder formulation gives a non-sticky, silky skin finish. It is also sweat resistant so that it will not wear off even with sweat. It also has no smell of sunscreen to worry about. It is recommended for face, body and even as a makeup base. It has been allergy tested and is fragrance-free, color free and mineral oil free. The packaging isn't anything extraordinary but it does contain 80ml of product. That's a big tube of sunscreen for you! The packaging is functional enough as it is easy to squeeze an adequate amount out of the soft plastic. 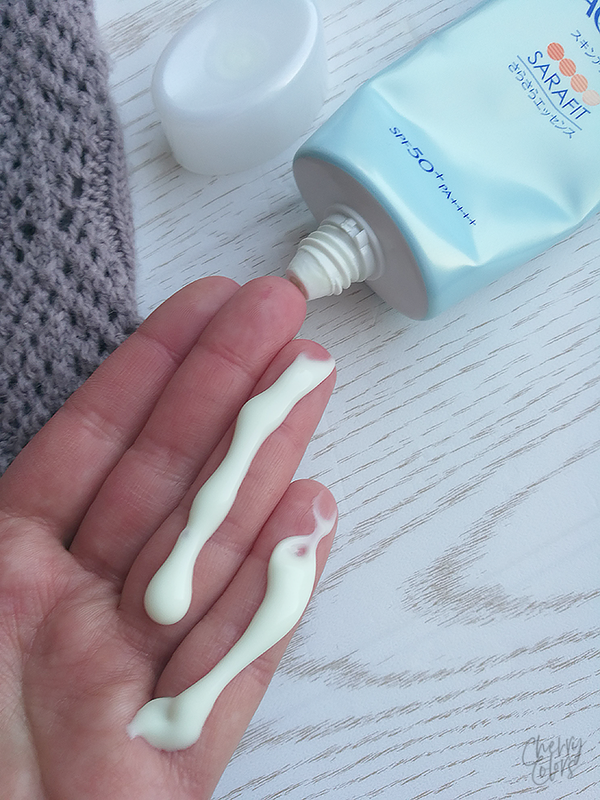 I usually use the amount pictured below (2 fingers of sunscreen), this way I know that I'm putting enough of it on my face. Some people prefer using three fingers of it, but the decision is yours to make. The sunscreen is more like a gel that is yellowish tinted. Once squeezed out of the tube there's a strong alcohol smell that lingers for a couple of minutes. It spreads easily but takes time to completely dry (10 min). While it's drying it is slightly sticky but once it's completely dry it isn't sticky at all. I liked to use it under makeup for daily wear and it was very comfortable. I liked that it didn't break me out which is always a possibility with chemical sunscreens. I did use chemical peelings in the time I was using this sunscreen and maybe I should've applied it more than just once even if I was inside in a room without windows? But I kind of doubt it. You can read more about them on Skincarisma. 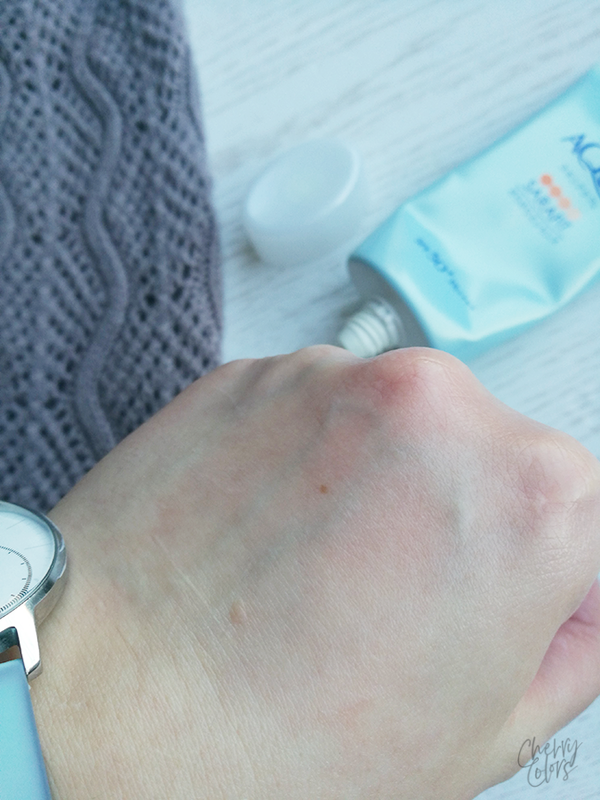 I enjoyed using it because of the fuss-free formula and would probably love it more if it wasn't for the tanned skin problem. I mean maybe I'm being a bit too harsh on it, but I'm really not sure. As I said, it's a first for me. I think the cream has potential but maybe would be more suitable for someone who loves re-applying it during the day.